It is 2543. 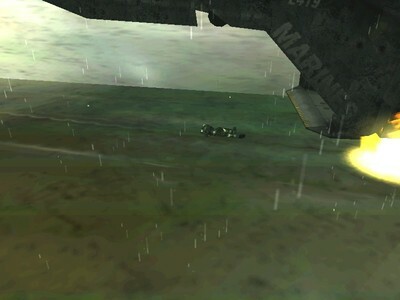 The master chief is returning from a training excercise from one of reach's moons. A covenant cruiser's distress signal is picked up, and it turns out the cruiser is on a diplomatic mission to covenant rebels, attempting to return them to the bulk of the covenant force. Thats right, you guessed it, the pelican carrying the chief is sent to investigate. 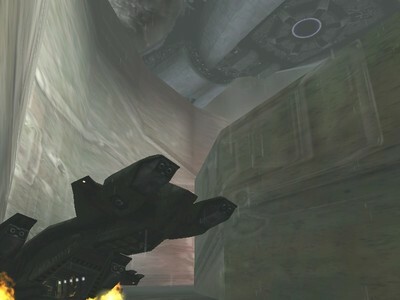 The cruiser is hovering above a strange arena, which is strangely hovering above a strange ocean. Now strangely start the map, because what happens after that is the first cutscene.